“To have seen Italy without having seen Sicily is not to have seen Italy at all, for Sicily is the clue to everything”, wrote Goethe. Warm weather, astonishing beaches, ancient ruins and great food – that is what you will find in the largest of the Italian islands. Have dinner in one of the roof restaurants in Catania to enjoy the views of Mount Etna, the tallest active volcano in Europe (3,329 m / 10,922 ft) and one of the most active in the world. The Museo Diocesano in Catania also offers terraces with amazing views of the city, port and the volcano. You can also visit the ruins of the ancient Greek theatre in Taormina and admire the view of Mount Etna in the background. In the north slopes of Etna there is the Alcantara Gorge with unique basalt rock columns. There are a lot of ways to enjoy the volcano, but one of the most surprising is skiing on it. The altitude of Mount Etna's ski areas generally guarantees snow from November to the end of March. The terrain is suitable for all levels. 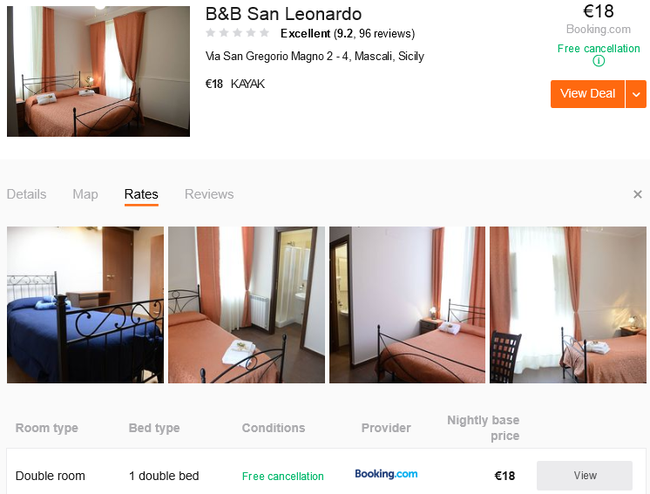 In eastern Sicily, we encourage you to stay at B&B San Leonardo from just €18 per night in a double room with breakfast included, free cancellation and excellent reviews. Situated in Mascali, this property is 12 minutes walk from the beach. It is located 13 km from Taormina. B&B San Leonardo features water sports facilities and a ski school. The rooms include a flat-screen TV. Some units feature a seating area for your convenience. Certain units have views of the mountain or garden. For your comfort, you will find bathrobes, slippers and free toiletries. Superior rooms include a spa bath or a hot tub. The bed and breakfast features free WiFi throughout the property. An Italian breakfast is offered daily. There is a 24-hour front desk at the property. This bed and breakfast has a ski pass sales point and free use of bicycles is available. Ski equipment hire is available at this bed and breakfast and the area is popular for skiing. The bed and breakfast also offers bike hire. 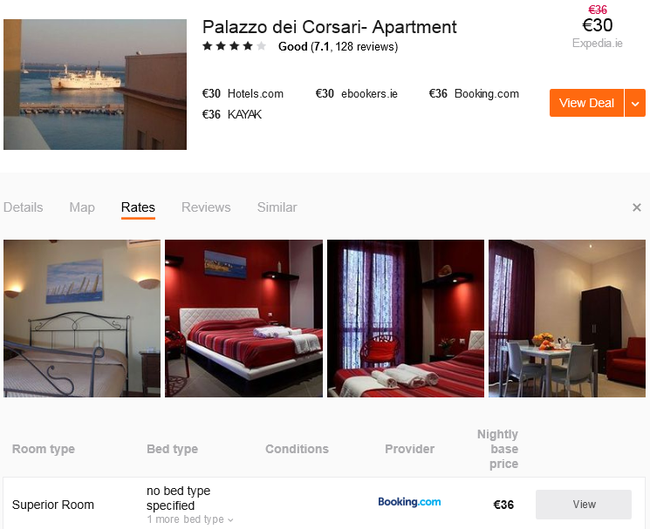 In western Sicily we recommend you to book 4* Palazzo dei Corsari Apartment in Trapani from just €30 per night in a Superior Room. This well-reviewed property, just a few steps from Trapani’s historic centre and the sea, offers elegant, self-catering accommodation. Its panoramic terrace is furnished with loungers and parasols, and offers full sea views. The design apartments at guest house Dei Corsari are air-conditioned, and feature an equipped kitchen, a TV, and a balcony which overlooks the sea or the city’s streets. 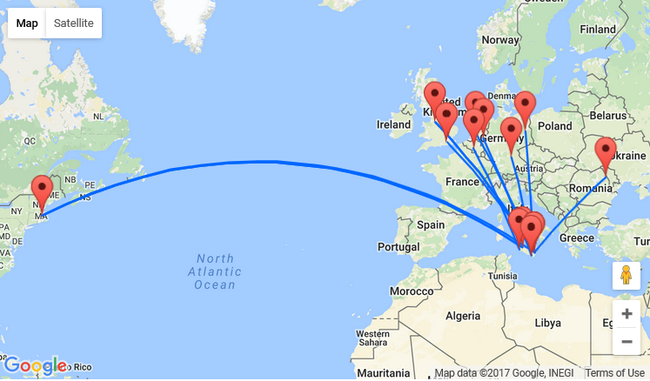 The guest house is a 4-minute walk from a bus stop providing links to Trapani Airport, and 1 km from the main train station. Trapani Harbour is a 5-minute walk away. Ferries leave for the Aegadian Islands. If you love nature and physical activity, grab your trek boots and visit one of the hiking trails. If you’re lucky enough to get some snow, you can go skiing on the active volcano. Sicily might not seem like much of a place for winter sports but there are two ski centres at Mount Etna. Rifiugio Sapienza – Nicolosi, located on the south side of the crater at elevation of 1910 m, has 4 lifts to service 14 groomed trails. Piano Provenzana – Linguaglossa, on the north, offers one piste. Day ski pass costs around €15 – €25. Black-sand beaches, a legacy of volcanic activity, are on the tiny Aeolian Islands, to the north of Sicily. On Lipari, the largest of the islands, you’ll find beaches of grey pumice stone. On the mainland, the cleanest white sand is to be found around Ragusa, to the south. San Vito Lo Capo is a popular seaside resort with a sandy beach, located in the far north-western corner of Sicily. If you like scuba diving and snorkelling visit Lampedusa Island. Swim in the transparent waters of the Rabbit Beach (Spiaggia dei Conigli), nominated as the top beach in the world. The variety of marine life, dolphins passing by regularly and numerous shipwrecks make for fascinating diving. Getting to Lampedusa and Linosa involves either an overnight ferry crossing from Agrigento and Porto Empedocle or flights from Palermo and Catania. For beautiful bays, rocky outcrops and fabulously clear water you can also head to the Favignana Island. If you like enotourism, you can enjoy a unique wine tourism experience in around the city of Alcamo, in the north. In the west, you can taste Marsala, a fortified wine. The wine-growers on Mount Etna make award-winning red wine. You can visit the vineyards and taste organic wines or even learn to cook Sicilian dishes! The Madonie region is well known for its rich gastronomic tradition and local products like sausages, salami, cheese and olives. SICILY from ZeroDx on Vimeo. PEAK SEASON! 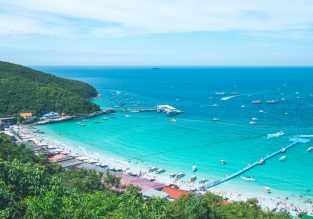 Cheap flights from Dubai to Sabah or Sarawak, Malaysian Borneo for only $319! 5* Singapore Airlines: Cheap flights from India to Thailand, Malaysia or Philippines from only $247! 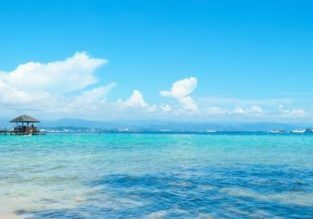 7-night stay in top-rated 4* hotel in Bali + flights from Kuala Lumpur for only $135! Queen Mary hotel ship in Long Beach, California for only €89! (€44.50/ $50 per person)! Peak Summer from only €15 more!